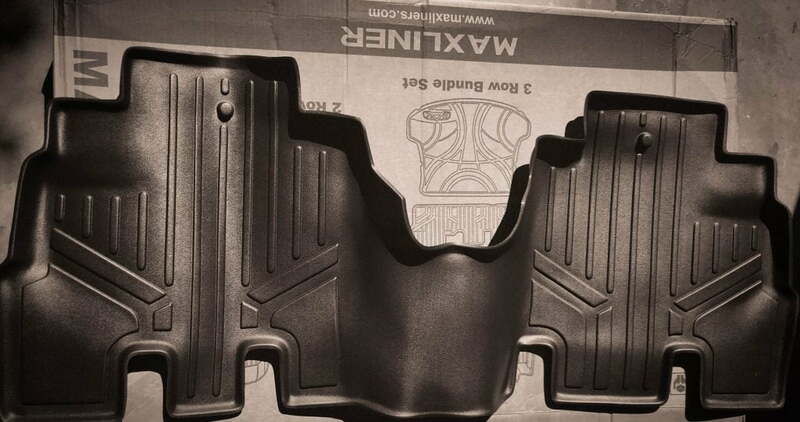 With an abundance of similar products to choose from, I chose to give the Maxliner floor mats a try. 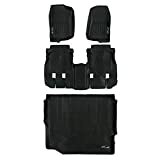 They fit my budget, they looked well built, and they came as a full kit for front, rear and cargo protection at an excellent price. Not to mention Amazon Prime shipping is just awesome as well. I received them within a day of ordering. How can you beat that? 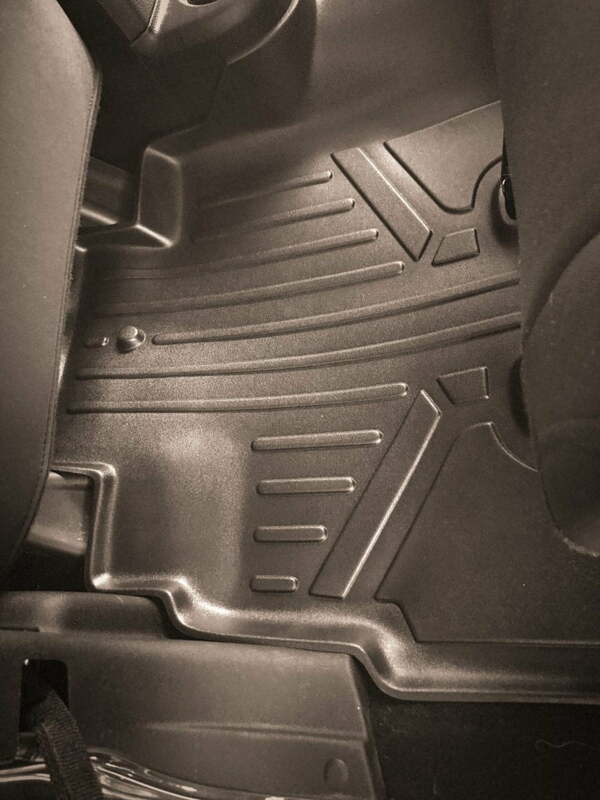 Maxliner floor mats are designed and engineered by Maxliner USA and made from post-consumer recycled material. All weather protection against Snow, Mud, Sand, Salt Water and More. Spill Saver Lip (Prevents spills from reaching carpet). 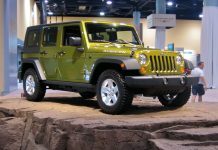 My Jeep is only a few months fresh from the factory, and the floor mats looked like cats and dogs lived in my Jeep for a while. 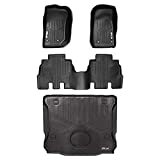 The front mats were the cleanest of all – not sure if they’re treated differently from the factory but these mostly held dirt and dust and always had a gray color to them. 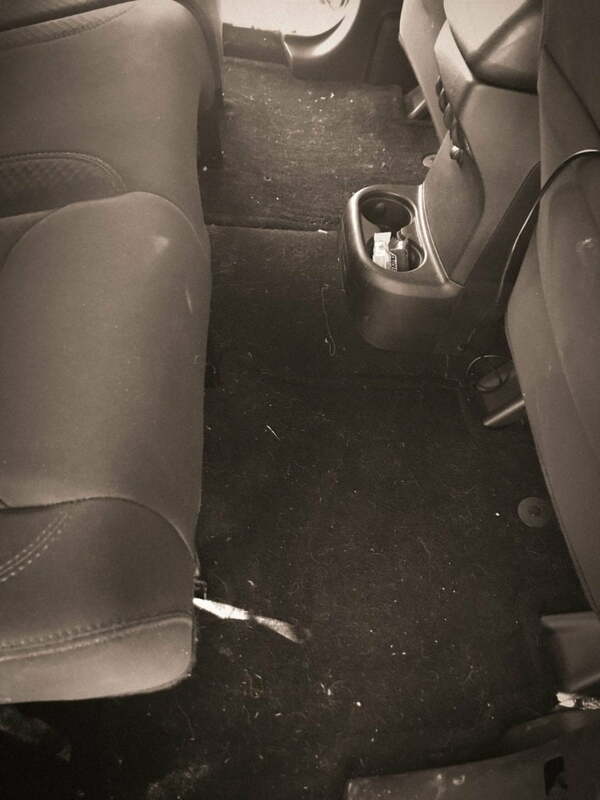 I don’t know what the kids do to the back seat, but it’s dirty… all the time… We have a small dog and her fur never comes out no matter how hard I try. (short of doing a pressure wash of interior). I believe the mix of mats and carpet liner just statically holds all the fuzz, fur crud, and gunk. 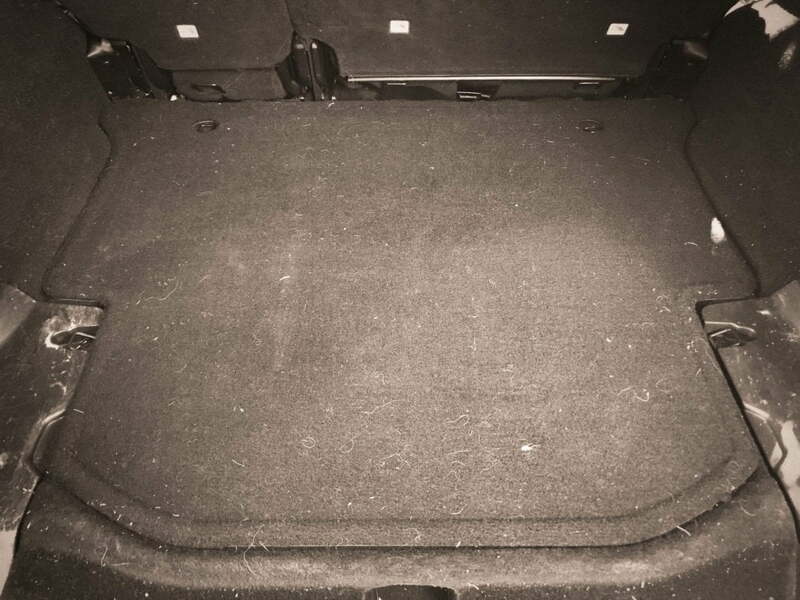 Same issue with the rear cargo mat, fur, and hair everywhere. I’ve never had my puppy back here, but it looks she sleeps back here regularly. Believe it or not, this photo was taken after a shop-vac vacuum session as well. 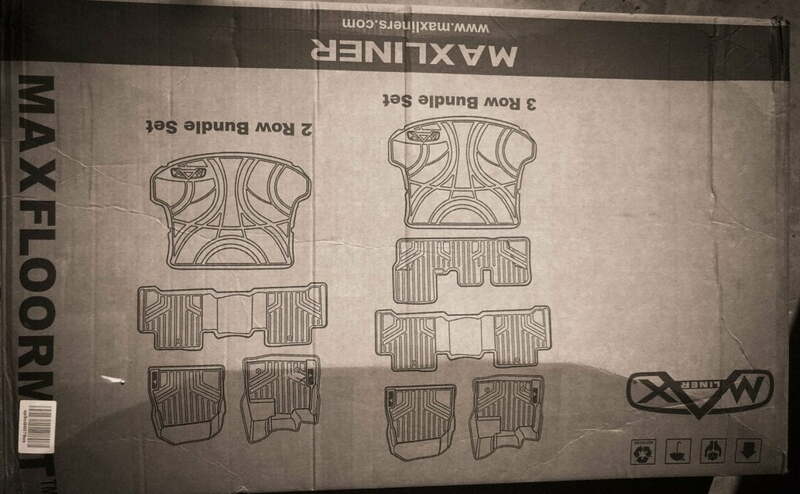 The Maxliner floor mats for Jeep Wrangler Unlimited all came in a single box. Everything was well packaged, individually wrapped and well protected. No items were scratched or damaged. 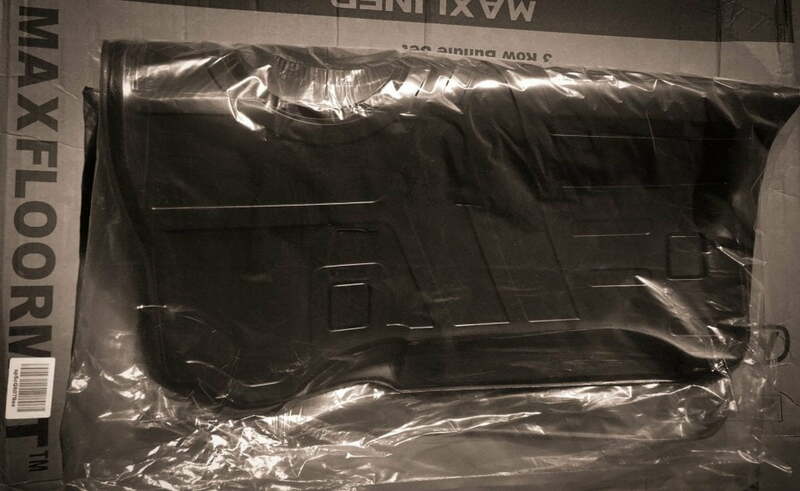 The rear smartliner floor mat is shipped folded. The Material did seem to “bounce back” quick when we unwrapped it and laid it flat. Every item is individually wrapped – No issues to report upon initial inspection and opening. No odd smells or anything. I really can’t stand it when you open some products like this, and your vehicle ends up smelling like a tire shop. I’m happy to report none of that. Once unwrapped – you can see the nice design and fitment work. 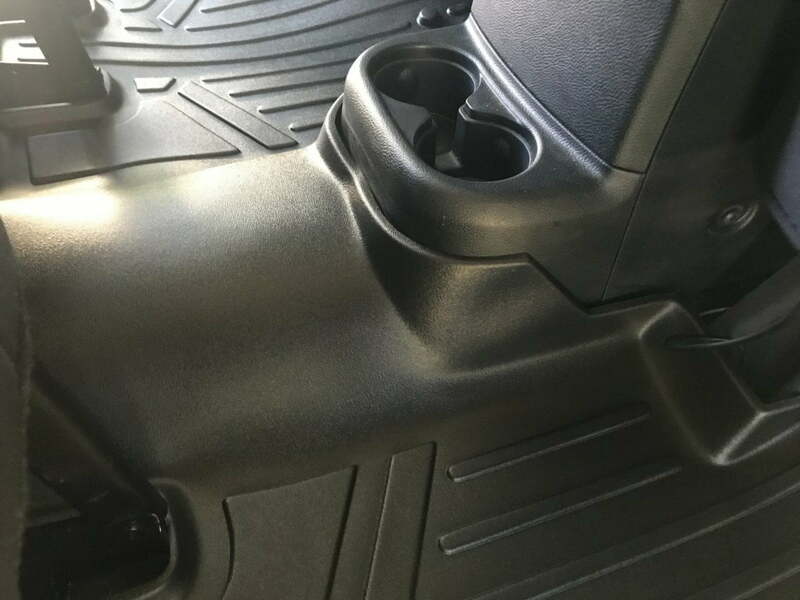 That’s a lot of edges and shapes to fit around, and the quality of the product looked clean and consistent – no rough edges, missing pieces or defects that I could see. 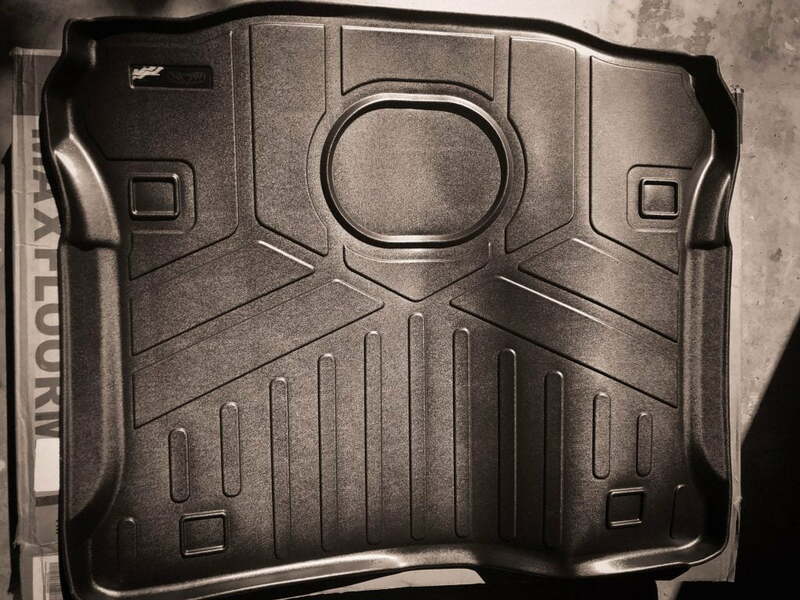 The Rear Smartliner cargo mat opened right up and unfolded rather lovely. No visual creases to be seen immediately upon laying it out. No seems or folds either. The material these are made from is pretty cool to see how it forms back into their designed form. 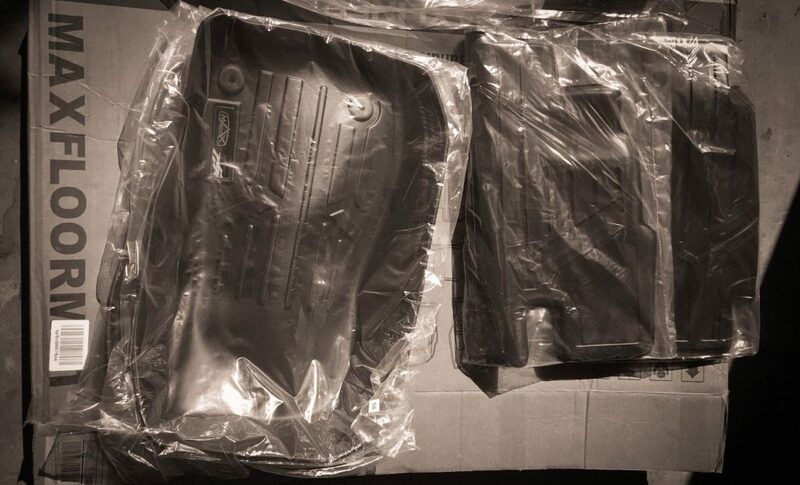 These floor mats just dropped right in and immediately felt snug. The Jeep Wrangler Floor Mat “buttons” snapped right into place to help snug up the fitment. Everything settled right in quickly. When I installed these It was a cool day, so everything is sort of firm/snug, I imagine on a warmer day some of the packaging folds/creases might release a bit quicker. The slight gap on the left tamed out through the day quickly. We’ll update this post with some photos after a week or two of being installed to report back on fitment after use and after everything settles out. 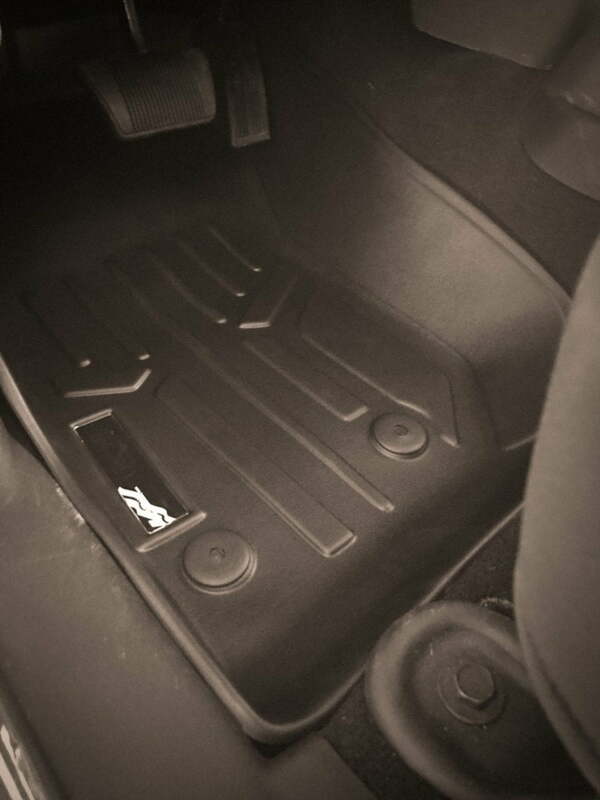 Drivers side Smartliner floor mat fits snug. 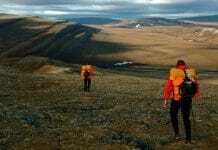 It doesn’t wander around or slide at all with any use whether I’m wearing boots, flip-flops or running shoes. The material did grip more than the carpet that was here – it only took me a few seconds to feel the difference and get used to it. 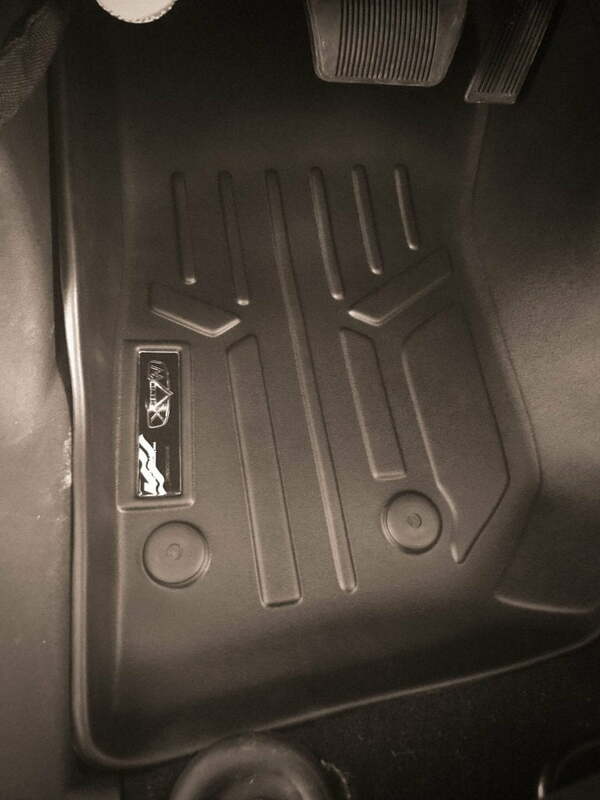 The rear passenger floor mats just look amazing. 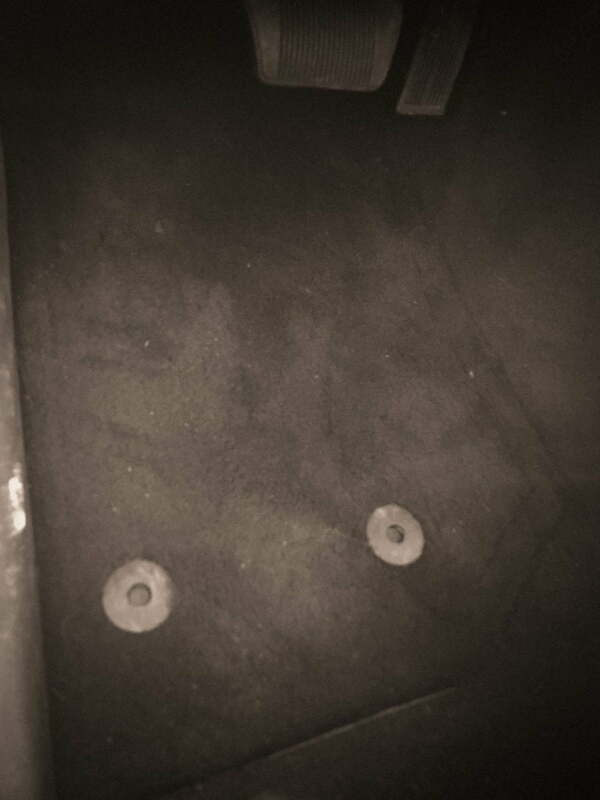 As you can see there is a small dimple right at the cup holder where these mats were folded. I expect that will smooth out over time. What a huge difference these make in the rear passenger area. These mats look great and fit great back here! Exponentially more appealing and easier to clean than those factory mats! Here is a daytime photo where can see a little pinch where the rear passenger maxliner had been folded. Beyond the small pinch, the fitment is top notch – everything fits in every notch, nook, and cranny very well. Snug and firm fitment. 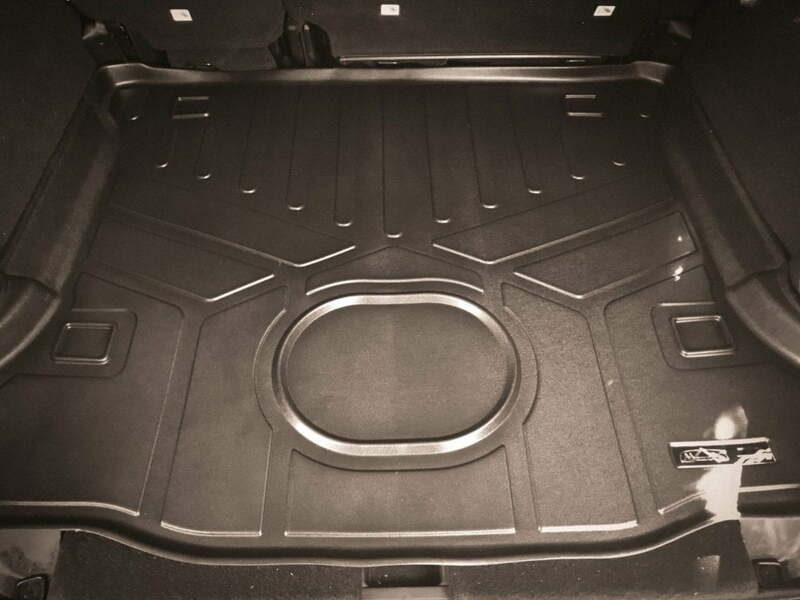 Cargo Maxliner fit like a glove and it looks great – filling in the entire area and giving a nice edge to edge spill lip for those inevitable spills that happen. Everything was well packed, well fitted and well designed. No crazy odors to report, no manufacturer defects. For the price, I’m very happy with this complete kit. I’ve hauled around some kids, groceries and a few dozen cases of canned water with no problems. When we ran a large donation of water to a charity, we folded the seats down and loaded up the rear with cases of water. The edges/lip of the rear cargo mat where the seats fold down popped right back up and held its form once we put everything back. 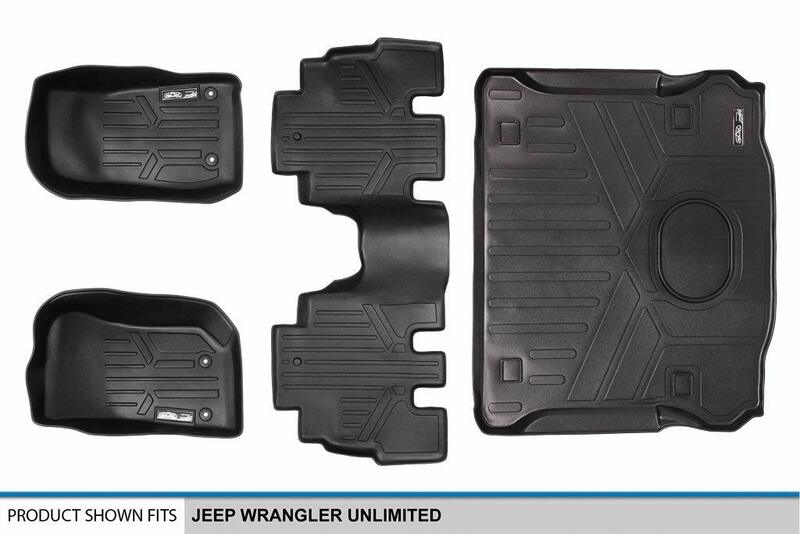 I can say without a doubt; If you’re looking for the best Jeep Wrangler floor mats, these should be on the top of your shopping list. 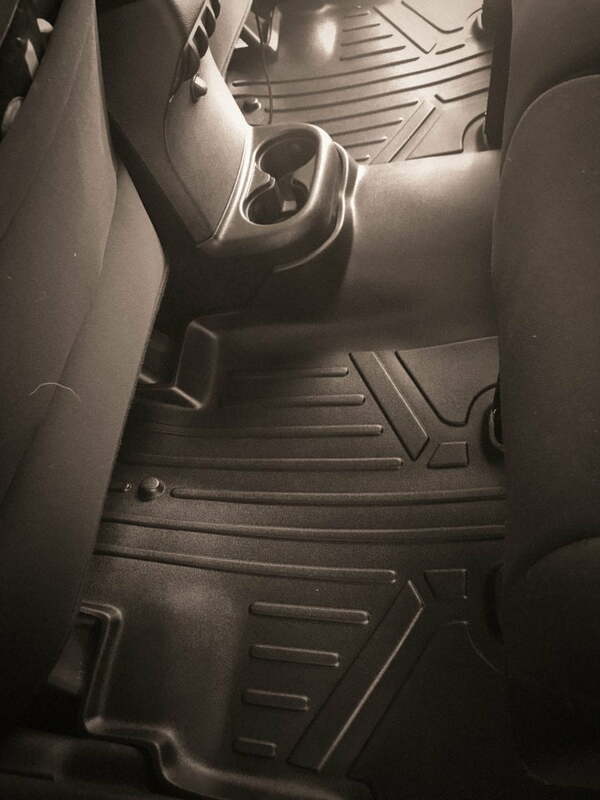 The Smartliner Maxliner all weather floor mats look great while affording great protection to your vehicle. Great design, durable product, and great fitment.